SmoothSkin Gold IPL Review (Hair Removal System): What’s the difference between the 120, 200 and 300 models? 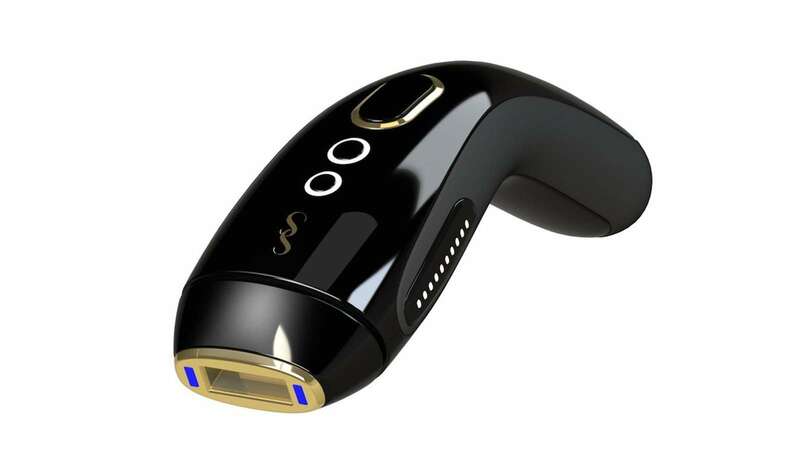 The SmoothSkin Gold IPL is an excellent domestic beauty device designed to treat unwanted hair at home. Here’s our full SmoothSkin Gold IPL review. What’s the difference between the 120, 200 and 300 models? The SmoothSkin Gold IPL system comes in three models. The 120, 200 and 300. What these model numbers mean is simple. The 120 model means it has a lamp life of 120,00 flashes. The 200 has a lamp life of 200,000. And yep. The 300 has a lamp life of 300,000 flashed. That’s it. The machines are identical apart from the bulb lifespans. SmoothSkin Gold IPL Review: Does it work? Yes. Like all IPL device, the results will depend on skin tone and hair colour. People with fair skin and dark hair will experience the best results. While darker skin tones may struggle. IPL is an abbreviation of Intense Pulsed Light. This is essentially a high-output flashlight. The powerful light travels through the skin and targets the hair’s melanin (hair pigment). When the light is absorbed by the hair it injures the follicle. To completely destroy a hair follicle you need to injure it during a growth phase. The timeline of growth cycles varies and this is why IPL treatment can take 7-10 weekly sessions to complete. SmoothSkin Gold IPL Review: How does it compare to its rivals. Regardless of the brand. IPL machines essentially work in the same way. They all use a high-output flashlight. What you’re paying for is the design of the device around the flashlight. And the SmoothSkin Gold sits roughly in the middle of the market. It has all the features you’d expect from a home IPL system. Including Glide and Stamp mode; Detect and Set (automatically set the power based on your skin and hair colours); Gentle mode for areas of skin that are more sensitive; and it’s easy to hold. There are two things it doesn’t have. It’s not wireless and it doesn’t come with specific body part attachments. If those are dealbreakers for you, then look at our Best Home IPL Hair Removal Devices 2017 roundup. SmoothSkin Gold IPL Review: Should I buy this? Take a look at our Best Home IPL Devices roundup first. But if you like the price, then this is a purchase that you won’t regret. It’s a well-designed IPL system that lets you treat your entire body in minutes. The SmoothSkin Gold IPL range is a cost-effective way to bring IPL-treatment into the home, and potentially save thousands of pounds in the process. Its design is practical and it’s easy to use. The one major feature this device lacks is wireless operation, but if you can put up with a wire you can save yourself £100-£200 pounds. A great all-round home IPL hair removal device. Read next: SmoothSkin Bare Ultrafast IPL Hair Removal System Review: Permanently Remove 92% Hair In 4 Weeks.